These extremely rudimentary bottle paintings use a very basic graphic vocabulary: a circle, a triangle and a square. So the central motive in each ritual painting is the square, known as the "chauk" or "chaukat", mostly of two types: Devchauk and Lagnachauk. Inside a Devchauk, we find Palaghata, the mother goddess, symbolizing fertility. Significantly, male gods are unusual among the Warli and are frequently related to spirits which have taken human shape. 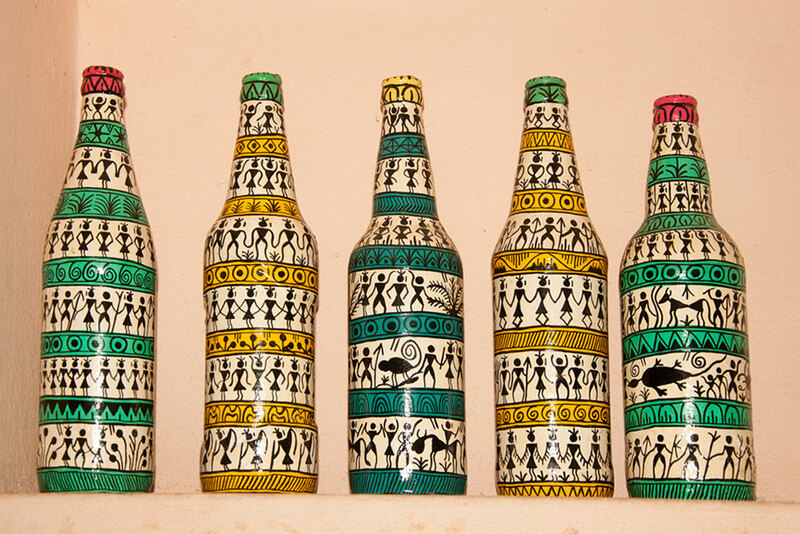 These paintings are performed on the bottles with the great effort by every artesian, their fore Warli paintings on bottle have become very popular and are now sold all over India. Today, small paintings are done on cloth and paper but they look best on the bottle or in the form of huge murals that bring out the vast and magical world of the bottle art. For the Warli’s, tradition is still adhered to but at the same time new ideas have been allowed to seep in which helps them face new challenges from the market. 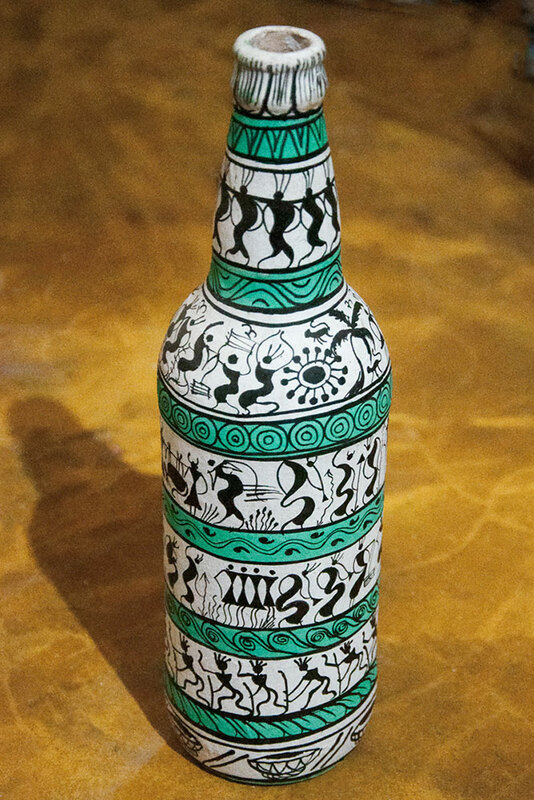 These painted bottles are available with the starting range of INR.300 to INR.600.